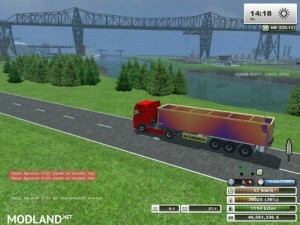 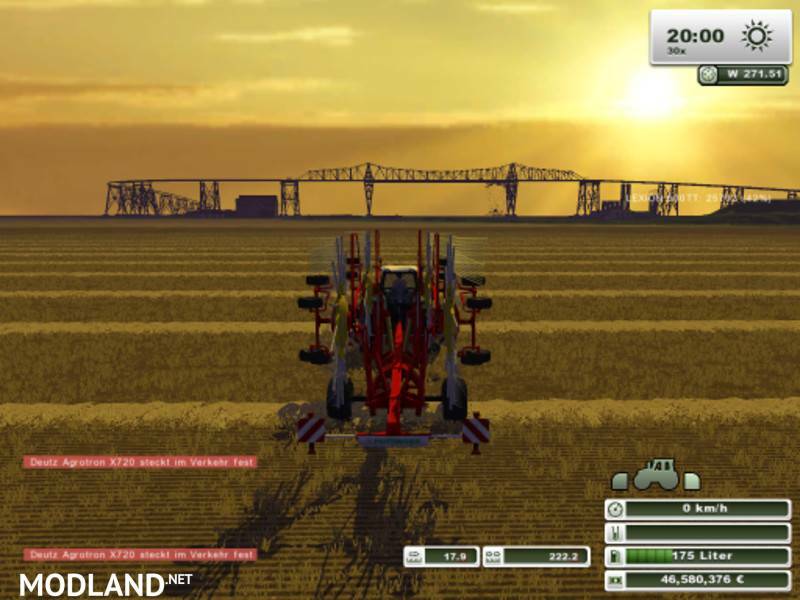 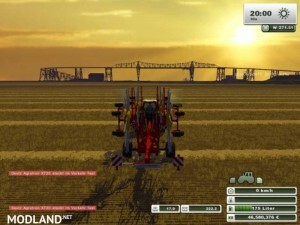 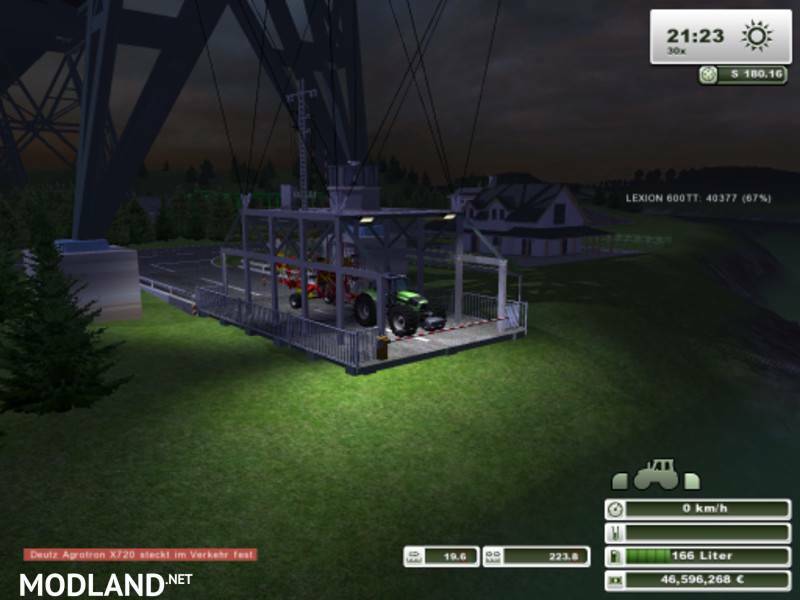 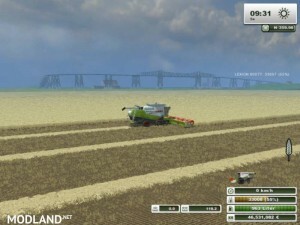 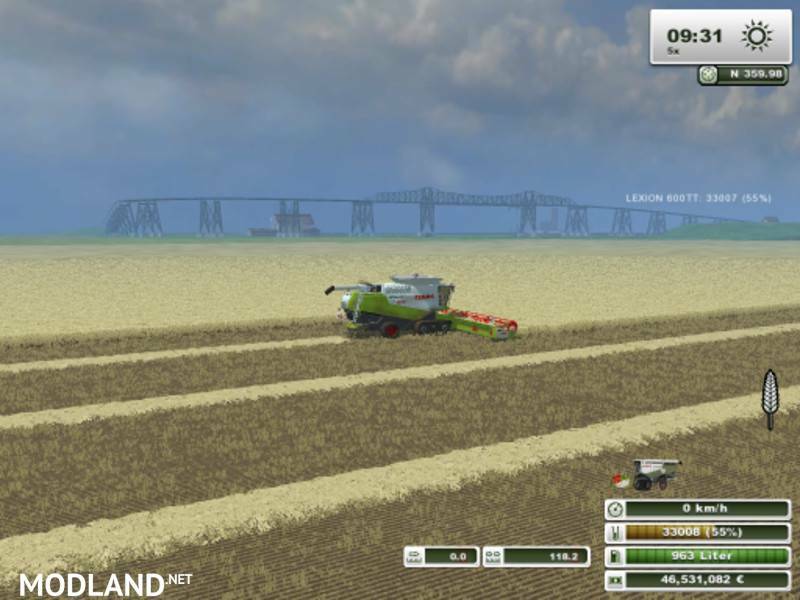 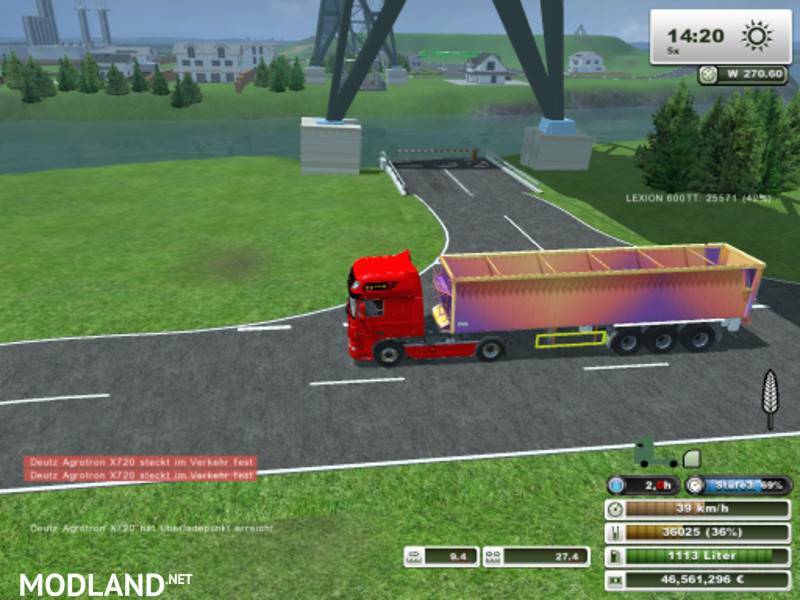 Here is the Rendsburg High Bridge v 1.0 for Farming Simulator 2013. 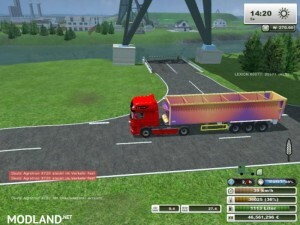 This is a replica of railway viaduct. 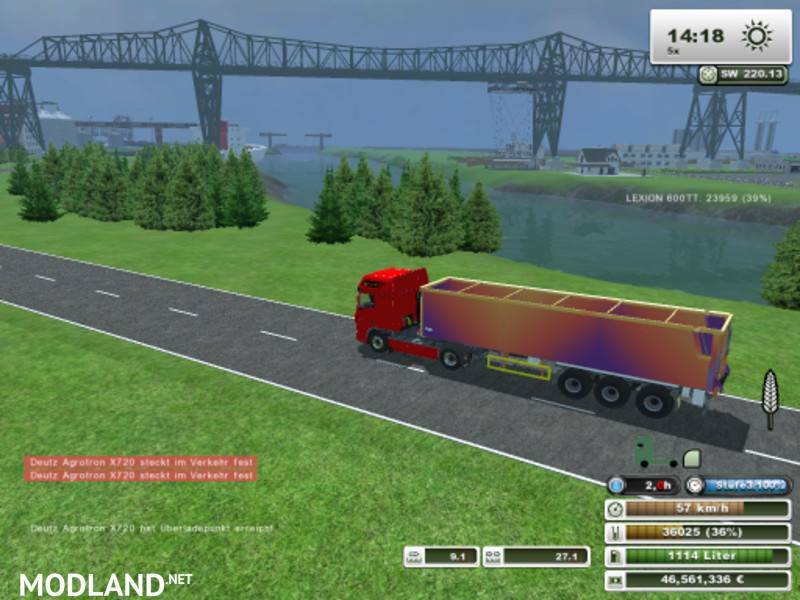 The original is in Rendsburg and crossed the North Sea-Baltic Canal. 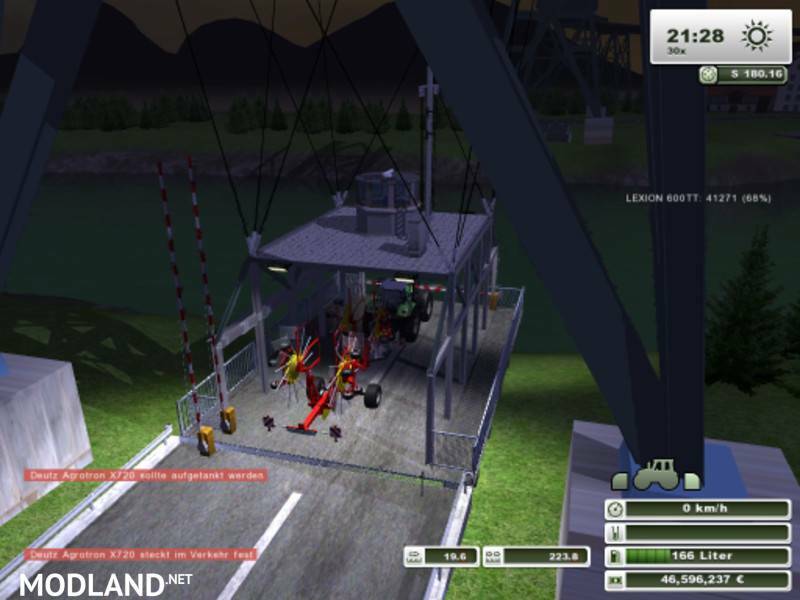 A special feature is the mounted under the rail construction transporter bridge which connects the two banks together. Unfortunately, I have not yet managed to find a script that I could use for the operation of the transporter bridge. 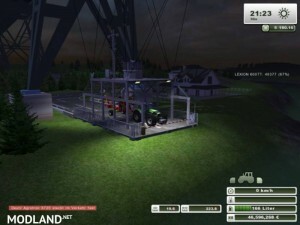 The whole bridge consists of individual modules and can be quickly and easily customized with the Giants Editor.